Team Relentless put the smack down on some very nice stripers yesterday trolling umbrella rigs between T.I. and the S.I. Lump. Good job guys. 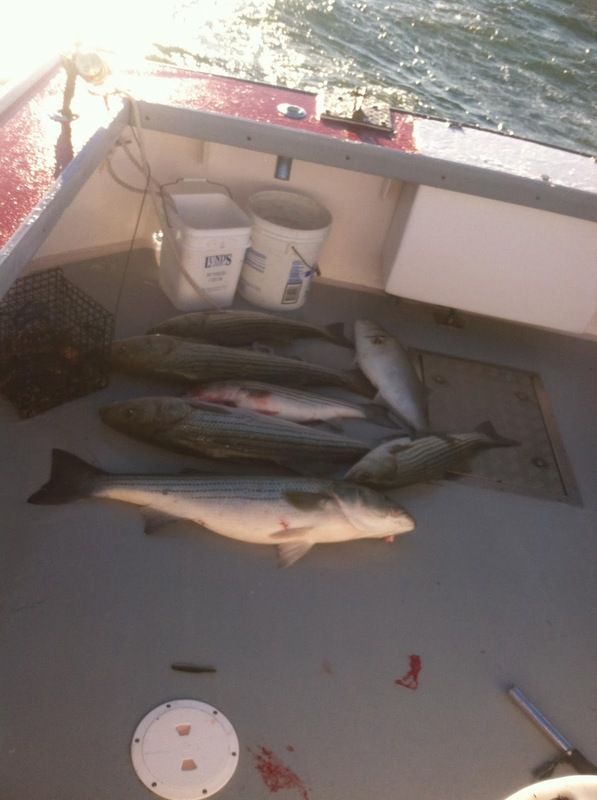 Friday was another great day of striper fishing. 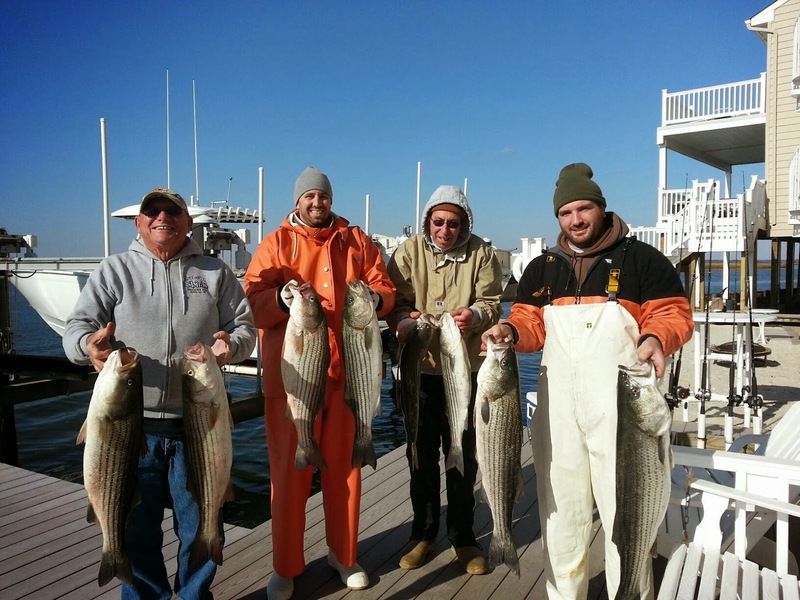 The Larson Gang on there annual Thanksgiving day striper trip mugged them up and got home early. Just out side the inlet they ran into schools of bait and big bass. These fish seem to be hanging around the Sea Isle Aria with more coming down from the north. 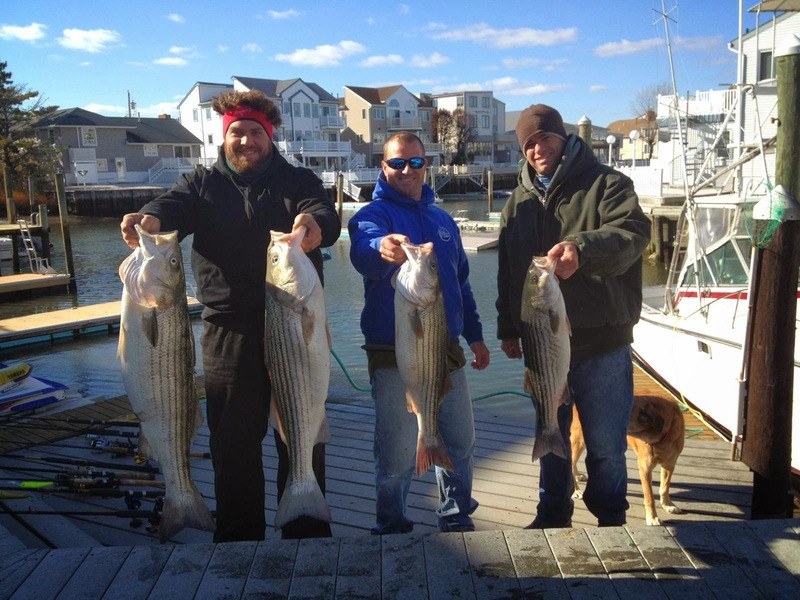 Put your boats back in, get new line on your reels, get some jigging and trolling stuff and get out there this is some of the best striper action Sea Isle City has seen in a couple of years. We are open every day (weather permitting) with all the stuff you need to be successful. Happy Thanks Giving every one. 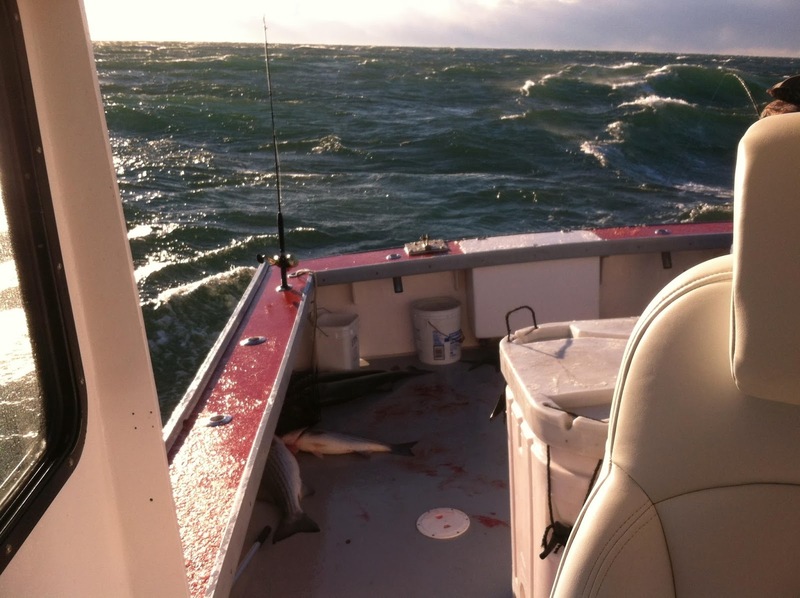 The report is the same the people trolling for stripers in the ocean continue to do well the surf is slow. The tog fishing is good some days better than others. If you want to go for the ride sea bassing has been good. Becky Finn and I are thankful that there where NO hurricanes this year and the best family and customers any one can ask for. Yesterday was another great day of striper fishing round Sea Isle City hear is Pat with a 32.6 pound fatty. He had 11 fish in total 10 where on 9er’s umbrella rigs one was on a stretch 25. 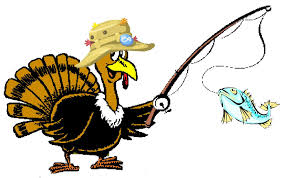 The one fish they took home is going to make a great Thanks giving dinner for the whole family. Looks like a nice weekend with plenty of fish round. 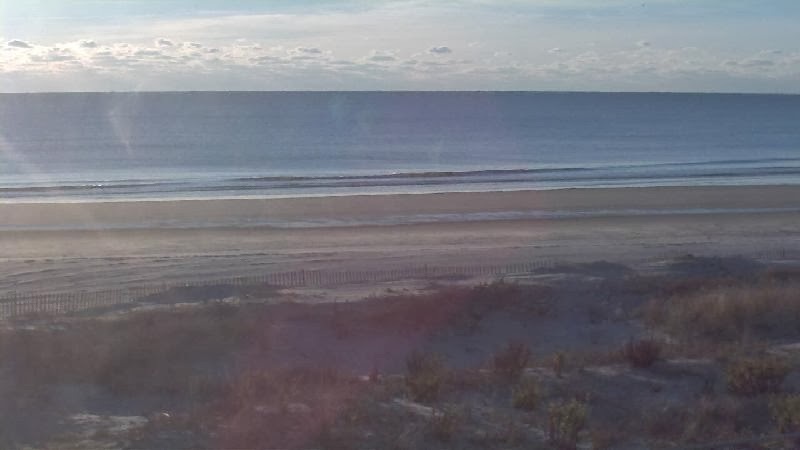 It’s a gorgeous morning hear in Sea Isle City. No reports from to day YET. It looks like we have a disturbance coming threw on Wednesday as of now nothing to major. Tomorrow looks ok and the weekend as of now looks ok. With the massive amount to bait in the ocean I think the fish will hang out for a wile so get them wile you can. The crew of the Susie 2 was not scared off by a little wind and sub freezing temperatures this morning. 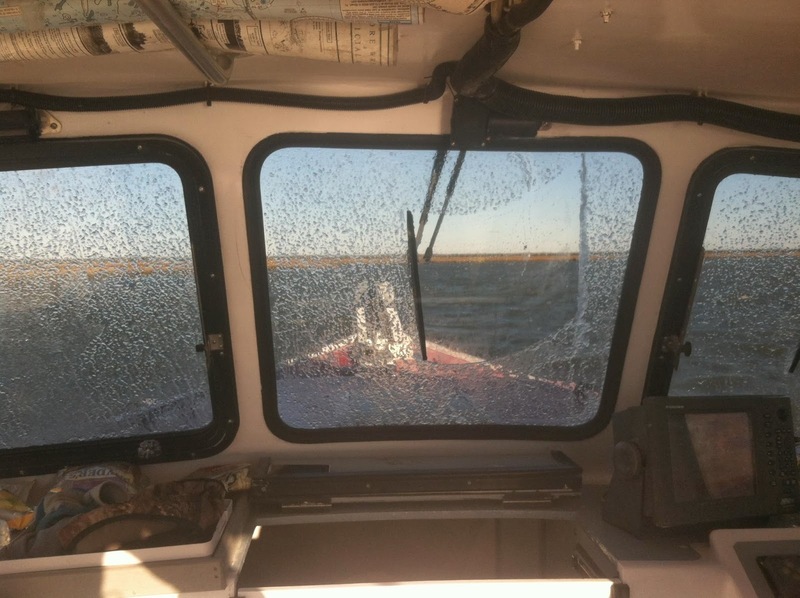 They said the fish where rite where they left them biting yesterday. Despites some tough trolling conditions and ICE on the windshields and deck they got out early got there limit and headed in. The whether will be improving for the upcoming week it will not be blue bird days but better than to day. Striper season is in full swing so come on down and take advantage of it.